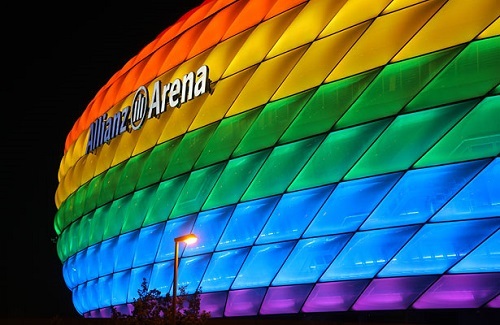 Allianz, which last month lit up Munich’s Allianz Arena (pictured) in rainbow colours in honour of Christopher Street Day or LGBT Pride, has clarified its support for major Catholic event World Meeting of Families (WMoF) after being questioned over ‘compatibility’. A report by The Irish Times said Justin McAleese, son of former president of Ireland Mary McAleese, reached out to Allianz yesterday to quiz the major insurer on its allegedly conflicting support – after WMoF fundraiser Norah Casey previously referred to the German firm as “headline sponsor” of the event, which is taking place in Dublin from August 21-26. This has prompted Allianz to set the record straight as far as its involvement is concerned. “Allianz is Ireland’s leading insurer and the only indigenous insurer capable of covering an event as big and as complex as the WMoF,” the report quoted the company as saying in a statement last night. The statement clarified that Allianz, while it had made a donation, is not the headline sponsor but rather the official general insurer of the weeklong affair. An event logo seen by Insurance Business shows Allianz as the “general insurer & proud supporter” of this year’s WMoF. In addition, a spokesperson for the event has been cited as saying that it was not its policy to disclose the identity of its sponsors. Allianz said that it respects different cultures and religions and strongly promotes a diverse and open society and corporate culture. Earlier this year, an online post by Allianz Ireland chief executive Sean McGrath read: “As the general insurer of choice for the Catholic Church and Schools business in Ireland since 1902, Allianz is delighted to be in a position to support World Meeting of Families 2018 CLG through the provision of a comprehensive package of insurances. The blog post, which was published in March, did not refer to Allianz as the headline sponsor of the event. 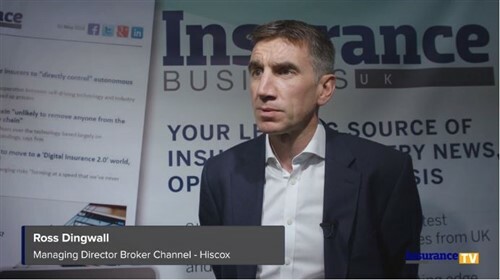 Instead, it shed light on the insurance implications, with McGrath saying: “Obviously from an insurance perspective this brings with it many challenges to ensure the organisers can operate with the confidence that should some fortuitous event occur, they are in a position to address any issues arising. The range of covers required for an event of this magnitude range from standard material damage, employers/public liability, professional indemnity/directors & officers to cancellation of event, terrorism, employment practices, and motor insurance.